It is a great day for free trade and free markets in the Cono Sur. In December of 2018, the Argentine Congress gave final approval to the deal. Last week the Chilean Parliament did the same. Now, both countries must deal with some regulatory formalities, which is expected to take approximately 90 days, for the commercial treaty to be put into effect. 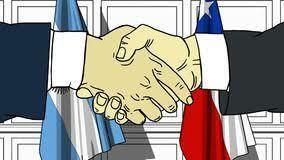 Argentina and Chile formalized a Free Trade Agreement that promises to spearhead something of even more importance at the regional level. Argentine President Mauricio Macri has repeated on several occasions that Mercosur has not lived up to its expectations, and that he wants to see the world “as an opportunity and not as a threat.” For now, the achievements have been modest. Although the Pacific Alliance (Chile, Peru, Colombia, and Mexico), accepted Argentina as an “observer country” two years ago, the main objective set by the government of Macri’s Cambiemos Party is now on standby. This is the free trade agreement with the European Union that the president of France, Emannuel Macron, has currently put on the back burner, due to the powerful influence of the agricultural lobby of his country. The new commercial ties between Argentina and Chile will soon bear fruit, with a considerable increase in the exchange of goods, as well as the elimination of bureaucracy and red tape in customs offices on both sides of the Cordillera. There are other interesting features of the agreement as well. One of these is the end to roaming charges for Argentine cell phone users in Chile and vice-versa. Another is the reduction in barriers to electronic commerce between the two countries. In the opinion of the economist, this will be an important step for Argentina, since through their new trade partner, Argentine products could be distributed all over the world. “It would be significant to see Brazil join in this direction, to see then a true alliance in all of South America, ending what is today Mercosur,” he said. According to Ravier, the Mercosur bloc has isolated itself, moving away from the global economy, unlike Chile, which has signed a large number of bilateral agreements, which are of crucial importance for the development of its economy. The two nations have endured a rocky relationship in the past, which has strengthened greatly in recent decades. Both currently are led by center-right governments under Chilean President Sebastian Pinera and Argentine President Mauricio Macri. The two nation’s share the third largest border in the world, at 3,300 miles long, but there is currently a considerable trade imbalance: Argentina exports around USD $2.3 billion in products to Chile, while Chile exports just USD $690 million. This imbalance is a reflection of the greater penetration of Chilean export markets. In general, the Chilean system has benefited from greater and stronger commercial ties, while the forces of protectionism and populism in Argentina have long held the country back economically.